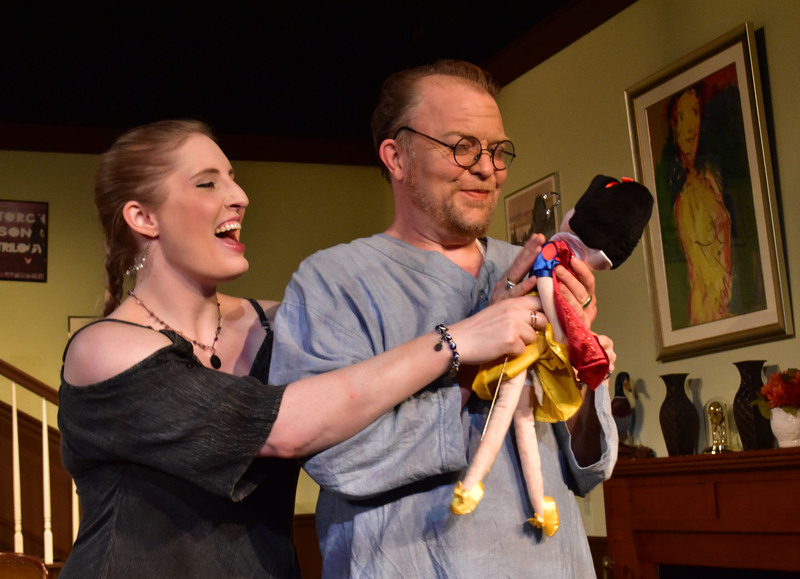 Audiences have laughed and loved the Providence Players’ season closing production of Christopher Durang’s Tony Award winning comedy Vanya and Sonia and Masha and Spike. Tickets are available for all three remaining performances. Join us at the James Lee Community Center Theater at 2855 Annandale Road in Falls Church for some outstanding community theater and a ton of laughs. Final performances: Thursday, Friday and Saturday at 7:30 PM. Best seat selection is always through our no-fee online ticketing system. Join Us For The Laughter! 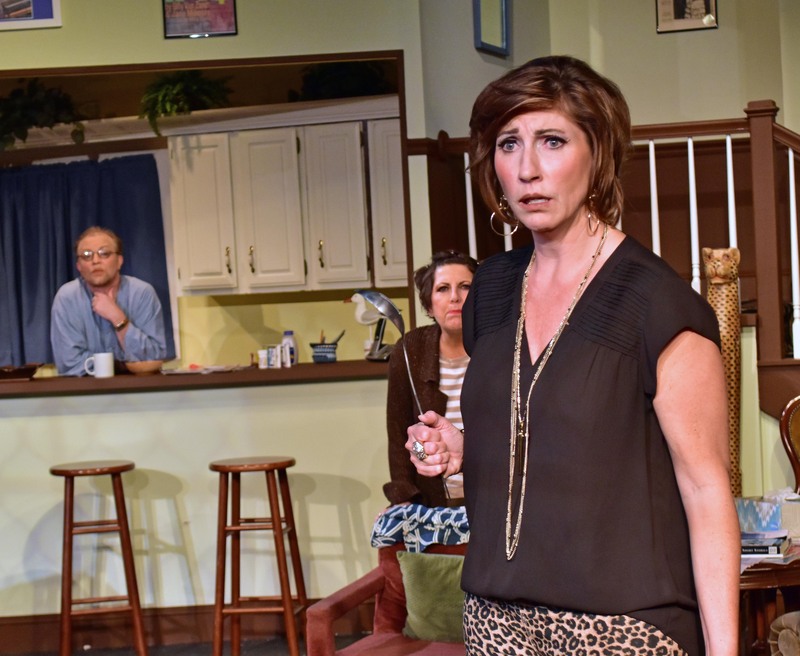 Master of comedy Durang blends middle-age despair, dashed dreams, and squandered hopes into a hilarious farcical comedy. 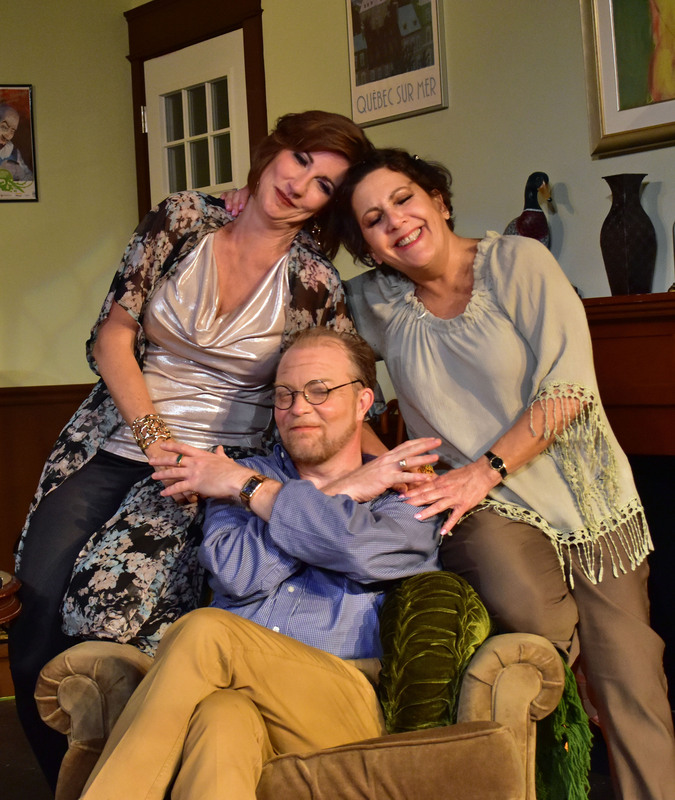 Vanya and Sonia and Masha and Spike, skewers the classic dramas of Chekhov through an absurdist tale of family dysfunction. But you don’t have to be a student of Russian literature to appreciate this hilarious play. Siblings Vanya and Sonia live a quiet life in the Bucks County farmhouse where they grew up. But when their movie-star sister Masha swoops in unannounced with Spike, her 20-something boy toy, an unforgettable weekend ensues. Add a clairvoyant cleaning lady, someone named Hootie Pie, a sweet young aspiring actress, and plans that could devastate the family, and you have a laugh-out-loud stage offering that will be a sure-fire audience favorite. 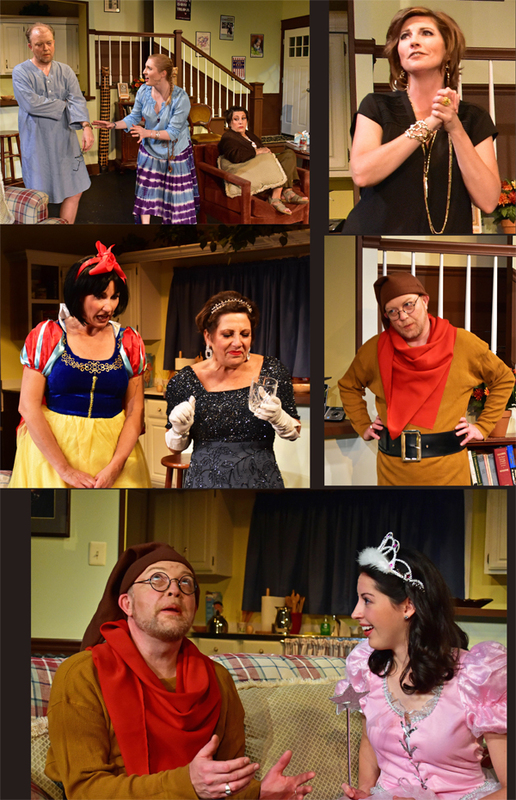 Nominated for six Tony Awards in 2013, Vanya and Sonia and Masha and Spike is one of the most lauded, beloved and decorated Broadway plays of recent years. The Broadway production won 2013 “Best Play” honors from all the major New York awards programs (Tony Awards, Drama Desk, Drama League and New York Drama Critics’ Circle Awards) as well as numerous other awards. …and Ari Post as SPIKE!